Miami is a premier destination for many from around the world. Some travel to South Florida for the beautiful art or the plethora of food choices while others come to explore Miami's fashion and music scenes. In such a big city, it may seem overwhelming to try to take it all in at once, but Wynwood Life 2018 running April 20-22, compiles the all of Miami's best into three days of full of art, music, food, and fashion. Wynwood Life is back and packed with everything that Miami loves as the most celebrated, anticipated, all-inclusive lifestyle festival in South Florida. Returning for the 6th year in a row, Wynwood Life allows you to experience ALL of Wynwood in one weekend! Events will take place at the Wynwood Marketplace at 2250 NW 2nd Avenue. 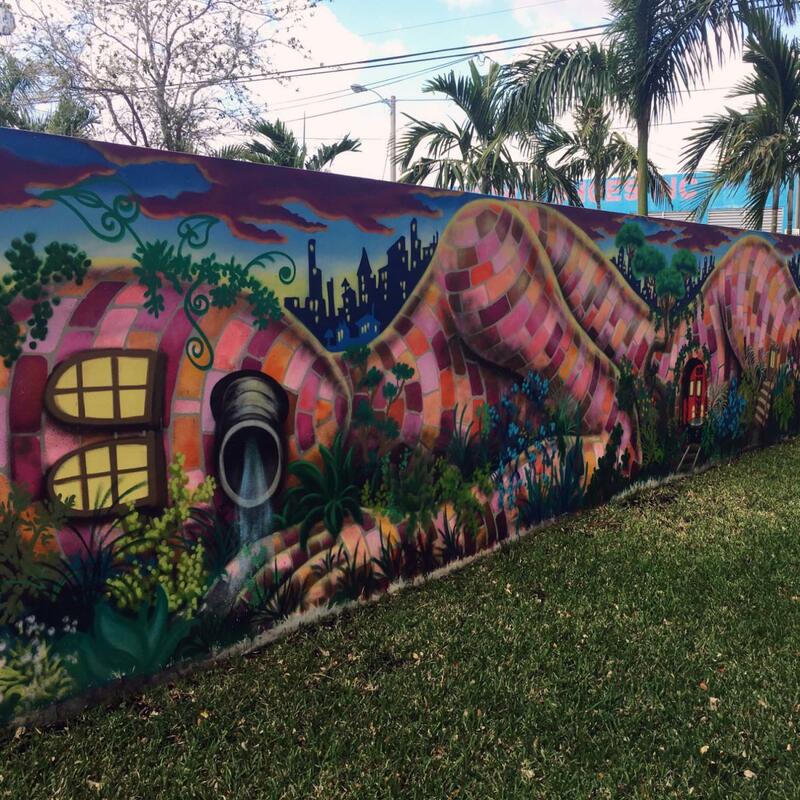 Home to the Wynwood Walls, Wynwood is famous for its beautiful, graffiti-filled streets and, during Wynwood Life 2018, some of Miami’s finest artists will showcase their work and share their love for art with thousands of art enthusiasts. This year, the 22nd Terrace Gallery and The Raw Project will be on display, and The Thrifter Market will be open with over 100 art vendors and food trucks participating. If you're a big music fan, then you definitely don't want to miss a second of Wynwood Life this year. Find your spot near the Live Music Stage as over 20 bands and DJs will perform over the course of the three-day long event. The streets will be full of life and music, so come and enjoy local favorites as well as hometown bands that have made it big. Miami is famous for its diverse culture, and a huge part of culture is food! So, of course, Wynwood Life 2018 will be featuring all types and styles of cuisine. The Wynwood Kitchen Lab will be making a return featuring both established and fresh culinary talents. Don’t miss the live demonstrations happening throughout the day and, as mentioned earlier, there will be some of the best Miami Food Trucks with plenty of good eats! Wynwood Life 2018 will be taking Wynwood back to its fashion roots as Miami’s original Fashion District with The Style Lounge and Runway. Collaborating with Bloomingdale’s, the live runway will feature the hottest designer brands with live DJs moving the models up and down the runway. Wynwood Life 2018 will showcase everything that makes Miami one of the most unique and sought-after vacation spots in the world. Whether you're a local or a tourist, don’t miss this amazing arts festival that has something for everyone! For more events in Wynwood, register on 305area and connect to everything going on in Miami.